We previously evaluated the Mazda’s midcycle changes in a test of automatic only 2016 Grand Touring model. Although the various nips and tucks made to the shapely body are barely noticeable, the changes inside are significant. A resculpted dash with a slimmer center stack and console brings the Mazda 6’s cabin in line with other Mazdas, such as the compact Mazda 3 and CX 5 Crossover, as does the seven-inch, tabletlike color screen mounted high on the dash. The functions on the display can be operated both via touch and by using Mazda’s central control knob that sits neatly on the console next to the new electronic parking brake. 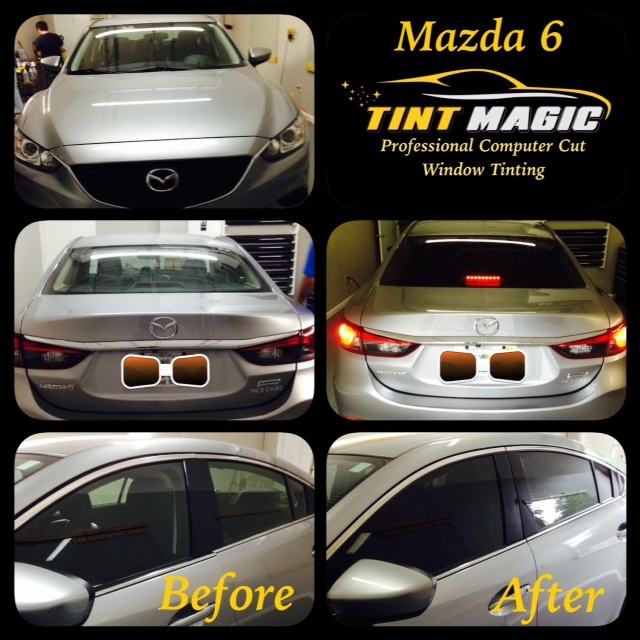 Mazda 6 Window Tint looks amazing on Carbon 18% all around for best heat rejection and 99% UV protection. Look the photos before and after!